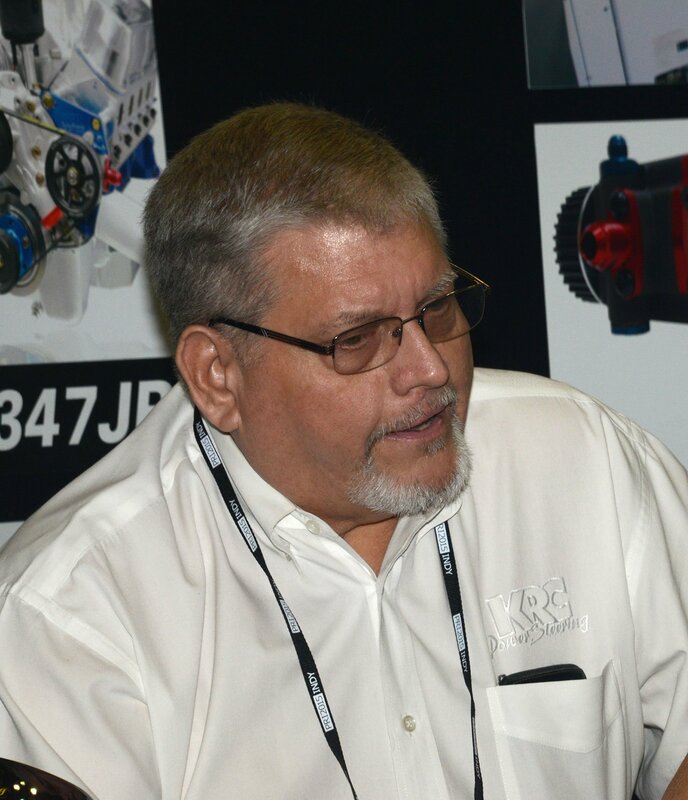 The annual PRI exhibition in Indianapolis provides valuable time to catch up with old friends. It also offers particularly good opportunities to tap into the productive minds of our industry’s designers and problem solvers. You’ll see their familiar faces peak out from their booths among the surge of racers in the corridors. I’m particularly interested in those whose work is not always predictable—those who tend to ignore boundaries, odd ducks often given to the unexpected. Some have sunny dispositions while others can be dour or aloof. Some are self-absorbed, some chronic complainers and a few irascible. But all are characterized by a keen sense of observation, ingenuity and persistence. Their products are brilliantly conceived—some just sitting there quietly on a show table hitherto unseen and unheralded—ready to rise from obscurity. 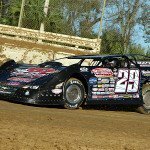 “Look,” says Ken Roper, with youthful enthusiasm, “this 10-rib pulley belt system transforms the Dirt Late Model’s durability.” These cars, as we know, operate in thick dust and dirt and this example had run 1,500 laps on a Super Late Model. “It looks immaculate—have you encountered better?” A retrospective of Roper’s work always fascinates. In 1985 at age 33, the father of a 14-year-old son and 9-year-old daughter, Roper had served the telephone company Southern Bell and AT&T for 15 years when an ultimatum came: move to Miami. But Southern boys with dirt track racing settled in their minds have a deep attachment to home turf and little interest in moving from the domain they know. 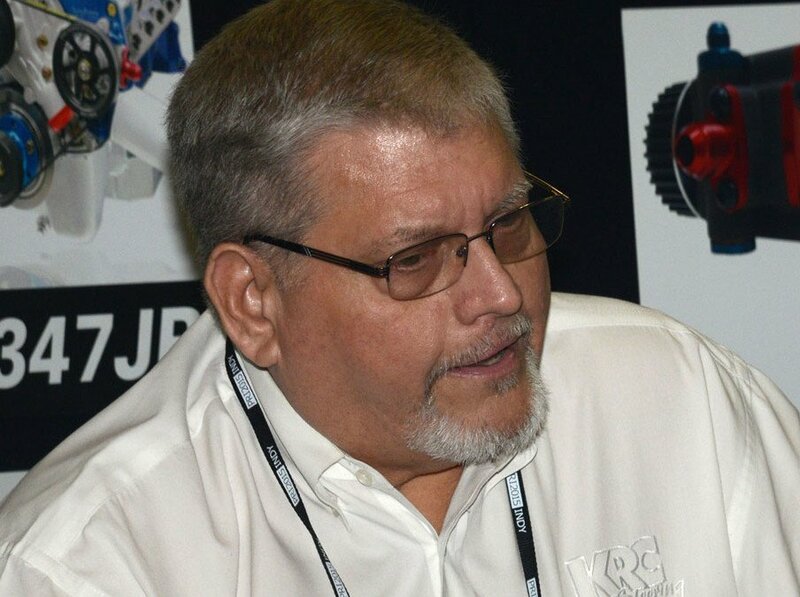 So instead he accepted his $18,000 severance compensation and developed his first company, Fast Lane Racing Equipment. Based in Woodstock, Georgia, he began by building racecars and selling parts. 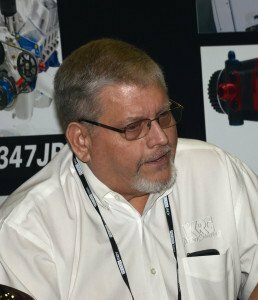 Then in 2006 he sold the company to devote more time to a secondary enterprise he had started in 1997, KRC Power Steering. You could be forgiven for thinking KRC’s renown is limited to the US oval track arenas but their steering pumps and assemblies are also Le Mans winners, and down-under they dominate in the Australian Supercar Series. 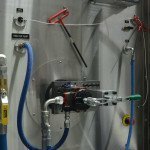 It didn’t take long to discover that OEM units were inadequate for competition use. Hampered by their imprecise mass-produced tolerances he, consequently, switched his product line to a Zua-based design, which worked well until Zua decided to close its factory. 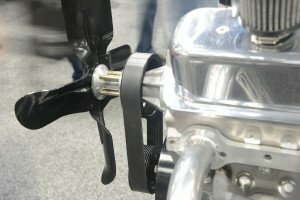 Cheaper electric road-going steering units were rapidly superseding the traditional hydraulic systems. It was then that Roper embarked on his most ambitious project: his own US-made power steering pump. He worked on the new designs all through 2009 and ’10. Then he became seriously ill—struck down by liver failure—an affliction that almost ended his life. Slowly, the liver transplant operation succeeded but when he returned to work in August 2011 the new pump didn’t please. A quick scientific analysis brought skepticism—no incentive to continue. So he started work on the third iteration. To reduce parasitic losses, the pump internals particularly the spool valve was improved by applying hard anodizing to its bore. Further, the conventional bushings were dismissed in favor of bearings as split bushings often failed under incorrect belt loading. 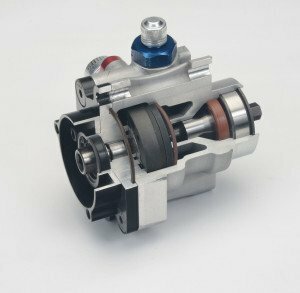 Switching to bearings also allowed the pump to rev safely to 9,000rpm instead of being limited to 5,500rpm. For convenience, press-on pulleys were replaced by slip-on 17-spline designs. Lastly, and perhaps most notably, interchangeable flow valves were featured to adjust steering feel. The pump Roper wanted, the Pro Series III was finally released in Dec 2013; the cost of development close to one million dollars. And returning to the Late Model question posed earlier, no, I hadn’t encountered better. In fact, in all likelihood I’ve never encountered a 10-rib belt and pulley system either! 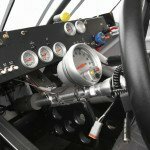 Did you know Super Late Model fan belts slip twice on every lap? 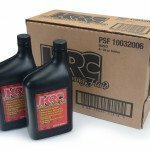 KRC launches new power steering fluid: their best ever!